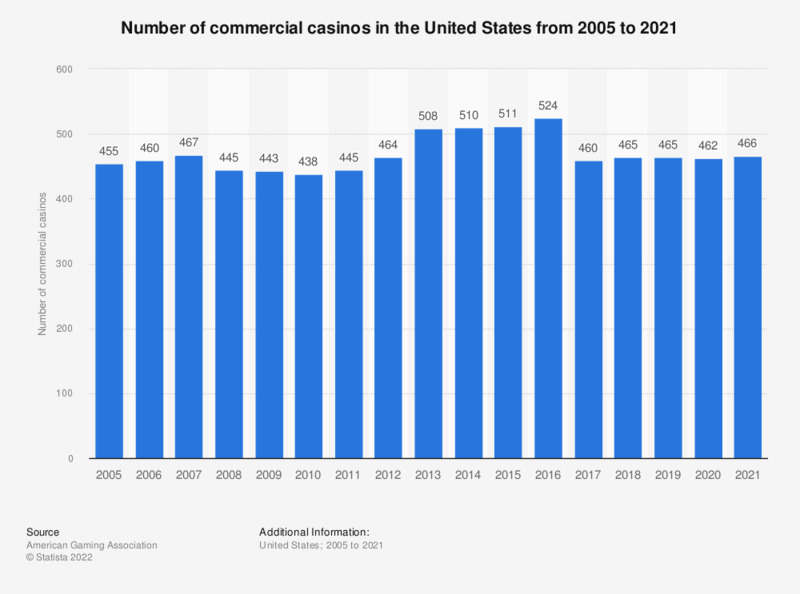 This statistic shows the number of commercial casinos in the United States from 2005 to 2017. There were 460 commercial casinos in the U.S. in 2017. * The AGA defines “commercial casinos” as those land-based, riverboat, dockside or racetrack casinos (“racinos”) operated by private companies under licenses issued by state governments.